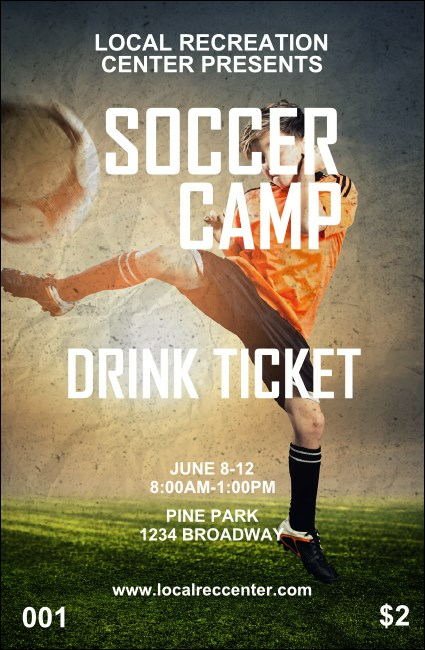 Keep your guests active and their thirsts quenched when you hand out the Soccer Camp Drink Ticket at your camp, clinic or competition. A young athlete goes for a huge kick in this image, with eleven lines for event and drink details. Pass these tickets out to help organize your vendors or service staff.